Strangely, I don’t know for sure if anyone in my family was there, although I am about 90% sure that I did have one relative there – my great-uncle John Speckhals. He was a career navy guy, who enlisted in 1936 and stayed in the Navy through both World War Two and the Korean War. 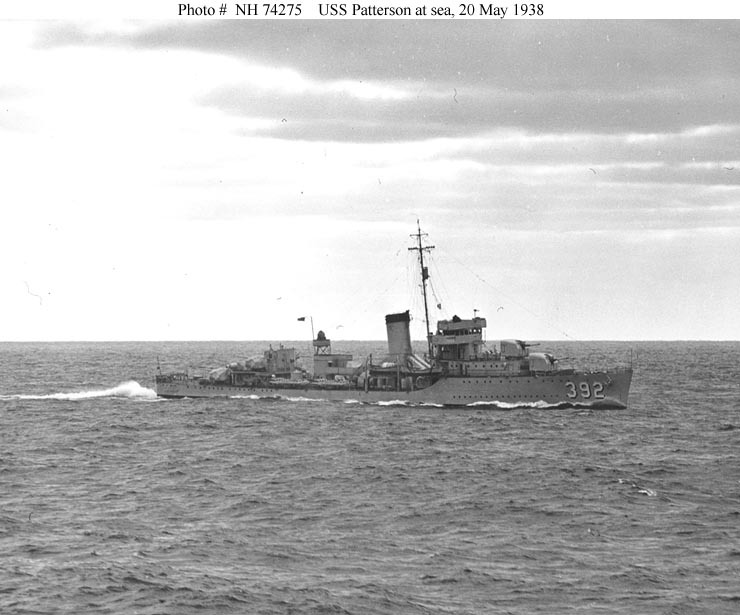 Uncle John spent his entire pre-war career on one ship, the USS Patterson (DD392), a Bagley-class destroyer that I know for a fact was at Pearl Harbor during the attack. It is believed that the Patterson shot down one Japanese plane during the attack, as explained in the ship’s after-action report. I vaguely remember a story that Uncle John told me when I was a kid, about how he was not on the ship during the attack (I think he had left the ship to attend a Catholic service), but like a lot of other guys was trying to get back to it. Anyway, I was thinking about you, Uncle John, and about all the other family members who lived through those times. I wish I had more time with all of you. Next Next post: It’s my last show of 2016!